Are you want to start a blog for free as a beginner? Well, you have come to the right post to start a new blog. 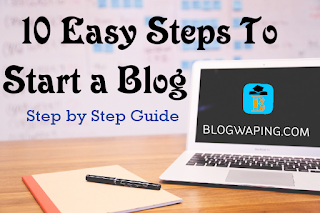 In this article, we are going to share how to start a blog with 10 easy steps. There are some important things you should know before starting a new blog. Why I Start a Blog? What I write in my Blog? Think and Answer these questions with yourself. If you have this question's answer, then you are ready to start a blog. Set up a custom domain name. Install and customize the blog template. Share your post in the world. Make backlinks for your blog. At first, Choose your blog Topic or Niche of your blog. It can be based on your Passion or based on your Interest. There are lots of free blogging service on the internet. Among those sites, Blogger is the best free blogging service on the internet provided by Google. Sign in Blogger.com with your google account. Blogger gives you a free subdomain like "Name.blogspot.com". You may change this subdomain "Name" later. If you don't want your blog name with blogspot.com, you can park your own domain name. Buy a Top Level Domain (like Blog.com) and this name should be short and easy to remember for your visitors. You can get some free domain name for one year. Park your domain name into your Blogger. You can take .TK/.ML/GA/CF/GQ domain name free for 12 months from Freenom. Among of those free domain names, Dot.TK is the most popular domain name. Click here and see how to park your domain name with your blogger subdomain. Make a unique Logo and Slogan for your blog. You can use this online free logo maker tools to make your brand logo. You can use to make your own logo from these sites for free. If, you want a professional logo then, buy or make your own logo. You should use topic related Responsive SEO Friendly Templates for your blog from default blogger temples as a beginner. If you want a professional template you can buy from these sites. As a beginner, you may use a free trial version of those templates. You should create some Important Pages that viewer can easily know about your blog. You may see your competitor blog pages as a reference to write those page details. Write some new and unique articles within a minimum 250 - 300 words long about your blog topic. Write a simple title and heading of your article. Write an introduction to the article. Write the main body of the article. You should use some images to describe your article. Write a conclusion about your article. Include labels or category of the article. Preview and then publish the article. 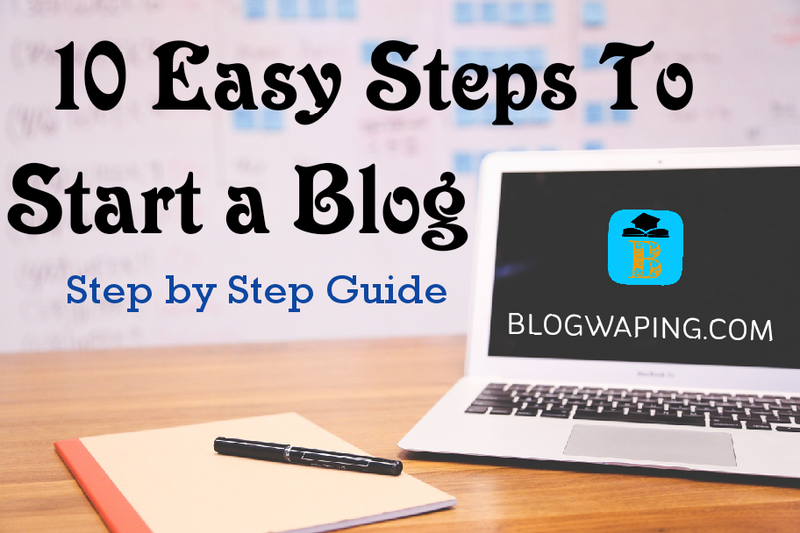 You may follow these steps to write an article on your blog. You should create your blog fan pages each social media and share every time when you publish your new post on the blog. Create an account of all these social media sites and updates this regularly. Submit your site to the Top Search Engines. Here are the most popular internet search engines in the world. Submitting your blog into these search engines that will be enough! Make Backlinks by posting articles or comments into your competitor's or topic related blogs. You can contact your competitor and offer them for making backlinks instead, you will make backlinks for them with your blog. You can also buy backlinks from other blogger or webmasters. Finally, your blog is ready to publish in the world to achieve success. If, you should post a minimum one or two unique article per week in your blog. That will be better to grow your blog. If you want to earn money from your blog, you can apply for Adsense or other advertisements Publisher Network with your blog at least 25 - 30 unique articles. Share your opinions about your blogging journey with us. If, you have any doubt about starting a new blog, ask me in the comment box. Blogger vs. WordPress - Which is Better?